Almost half of people intend to leave money to charity in their wills, according to research commissioned by the British Heart Foundation. In an online poll of 2,000 UK adults carried out by the market research company OnePoll, respondents were asked how much money they planned to leave to charity in their wills. Offered a choice between leaving nothing or an amount above £1 to charity, 854 respondents (43 per cent) said they would leave more than £1. The most popular gift size among this group was between £100 and £499 – 8 per cent said they would leave a gift of this size in their wills. When asked why they would choose to leave a gift in their wills, the top three reasons cited by respondents were that the person had a personal link to the cause (52 per cent), that they wanted to feel good about giving back to society (28 per cent) and that they believed it was important to do so (16 per cent). Almost two-thirds of respondents (62 per cent) said they usually gave money to charity because they "genuinely wanted to help", and 16 per cent said it was because it made them feel good about themselves. Only one in ten (10 per cent) said guilt was their main motivation for giving. Asked if they had ever experienced a "feel-good factor" from giving their time or money to charity, 73 per cent said they had, at least sometimes. The most popular frequency for giving money to charity was on a monthly basis, with nearly a third of those polled (31 per cent) saying they donated every month and 10 per cent saying they never donated. The average monthly donation was £16.58. Gayle Brewer, senior lecturer in psychology at the University of Central Lancashire, said in a statement: "Giving back to society and the act of donating time or money to help improve the lives of others will always be key to an overall sense of wellbeing within an individual. These positive feelings can only be extended by writing a will that leaves a gift to charity." 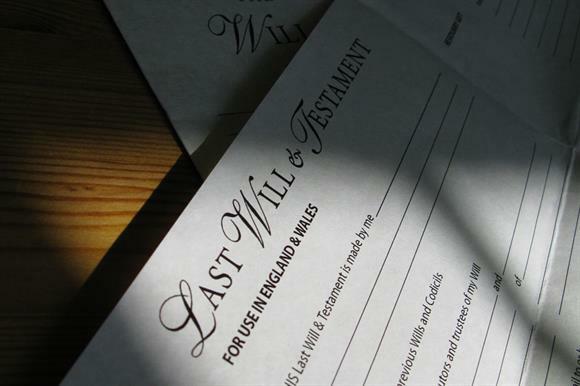 Sarah Dalling, legacy marketing manager at the BHF, said in a statement: "What is encouraging is that more than half of those polled said that having a personal link to the cause would be a key motivator for them to commit to leaving a gift in their wills. Our pioneering research, funded by people leaving gifts in wills, helps us to make life-saving discoveries, save more lives and keep more families together." The study was commissioned by the BHF to mark the launch of its legacies campaign, which aims to encourage people to leave gifts in their wills to the charity to fund its research into heart disease.